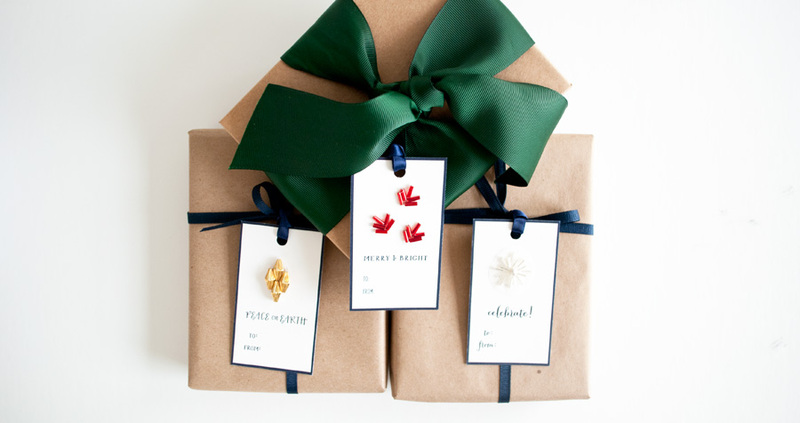 This year I teamed up with Patricia of Fourteen Forty to create a fun new item for the holiday season - custom made hang tags! 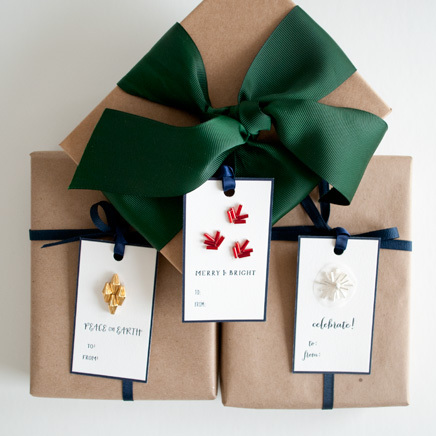 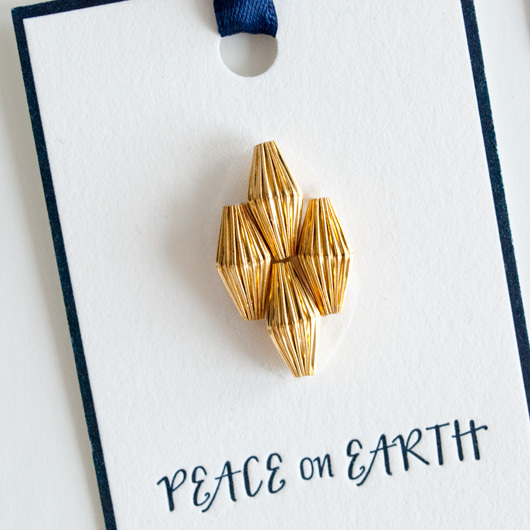 Each gift tag features a hand-beaded ornament created by myself, and then printed in luxurious letterpress by Patricia. 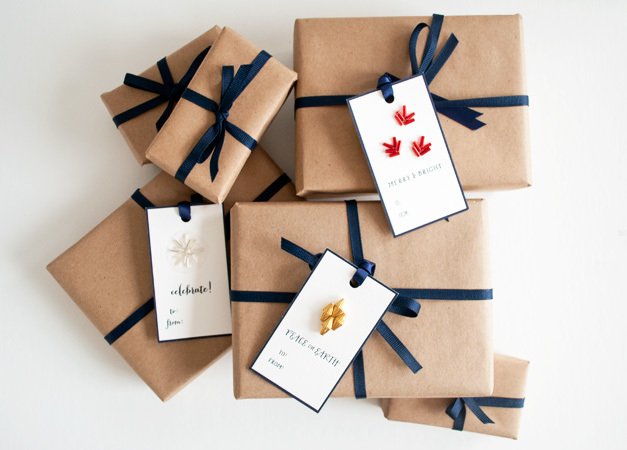 Tied with an elegant satin navy ribbon, your pretty parcels won't know what hit them!